The UK Patent Office published some clarifications what would happen with all European trademarks in case of a hard Brexit without a deal with the EU. In that case, The UK will recognize all registered EU trademarks and will transform them into national trademarks. They will be indicated with UK009 in front of their EU numbers. There will be no cost for the relevant owners and as little administrative burden as possible. However, the Patent Office will not issue trademark certifications for them. Information for these marks will be available in the UK trademark database. When it comes to EU applications for trademarks, their owners will have up to 9 months to file identical applications in The UK. In that scenario, they will use the same priority date from their EU applications. Brexit and your EU Trademark: and now what? The European Union Trade Mark (the "EUTM") is a popular and versatile vehicle used to protect trade mark rights across the 28 Member States of the EU. Brexit could result in the UK no longer being part of the EUTM regime because the EUTM Regulation would no longer be directly applicable in the UK. At worst, in the absence of transitional legislation, existing EUTMs would no longer extend to the UK, and applicants would have to register a separate national trade mark to cover the UK. The UK Intellectual property Office (“IPO”) ha benne keen to ease any fears of UK trade mark owners although its statement avoided any mention of the one main approach that could have allayed such fears, i.e., transitional legislation to ensure the future recognition of EUTMs in the UK. It emphasizes in its statement that the UK government is exploring "various options" to ensure the long-term coverage of EUTMs, but fails to elaborate on exactly what these options may be. The IPO also hints at a future consultation to gauge the popularity of likely options among users of the trade mark system, so we can expect further detail on the government's plans in due course (although, again, the IPO makes no comment on timings). The IPO does clarify that, even after the UK leaves the EU, UK businesses will still be able to register an EUTM which will cover all remaining EU Member States but anything other than that position would have been particularly surprising. More tellingly, the IPO points to the fact that the UK is also a member of the Madrid system for the international registration of marks (the "Madrid System"), which could possibly signal a greater role for this international regime in the future of UK trade mark protection. The Madrid System is an international trade mark system, which allows users to file one application in one language, and pay one set of fees to protect trade marks in up to 113 territories, including the EU. 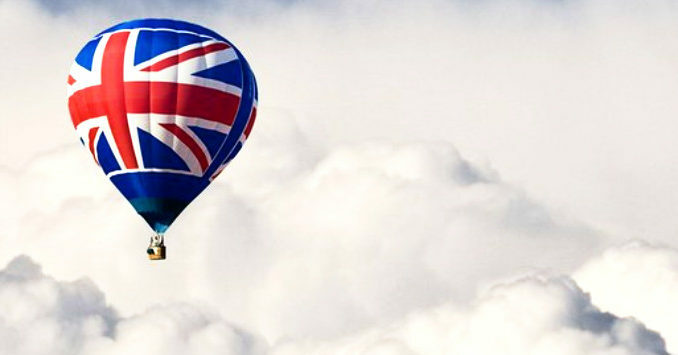 We continue to believe that, because of the current uncertainties and in order to minimize any risks associated with the Brexit change-over, anyone who owns EUTMs and views the United Kingdom as an important market may want to consider filing for United Kingdom trade mark registrations now, rather than waiting to see what happens when the United Kingdom formally exits the EU. And for new trade marks, we recommend filing in both the EU and the United Kingdom if the United Kingdom will be an important market for you. This increases costs only slightly and clearly secures a priority date for the United Kingdom.